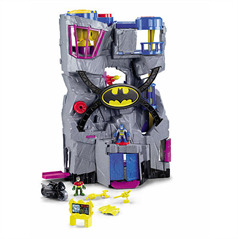 Equipped with all sorts of gadgetry, the Fisher-Price DC Super Friends Imaginext Batcave is the perfect place for crime-fighting. It has a mechanical claw to work on the Batcycle, a secret entrance, a turnstile, a telescope and more. 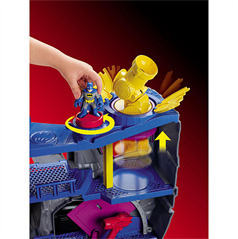 All you have to do is turn your Batman figure on the disk to reveal or activate them. Plus, there's a Bat Signal that really lights up and a launcher that lets you fire projectiles at the enemy. 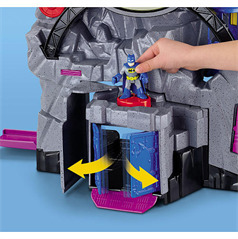 Add the Batcave to your collection of DC Super Friends for lots of bat-tastic adventures. Holy Gift Ideas, Batman! The Batcave is ready for action!